Marcel Meijer, Fanie Reynders and I did our weekly SDN Cast again for the second year already. We only skipped a few weeks to attend some large conferences and create some impressions of the events. You can find all the videos on our YouTube channel: www.sdncast.nl/youtube (or direct link: www.youtube.com/sdncast). I was awarded MVP for the 13th time in 2017, in fact twice for 2017 – once in January 2017 and ‘automagically’ renewed in July 2017 due to a change in the MVP Program cycles. Instead of 4 quarterly cycles to be renewed once a year the award cycle changed to July for everyone. So for me for the first time since 2007 (as I was awarded in January of 2016) a New Years Day without the suspense of being renewed or not to be renewed. In 2018 the thrill is shifted to July so we’ll see what happens by then . Besides all of this we did three SDN Events (one day conference) an Office 365 Developer Bootcamp to teach Microsoft Teams development to a nice group of local developers (The Office Developer Bootcamp was a global initiative where everywhere in the world groups of people organized local Bootcamp events. Our Bootcamp was in Amsterdam last November). 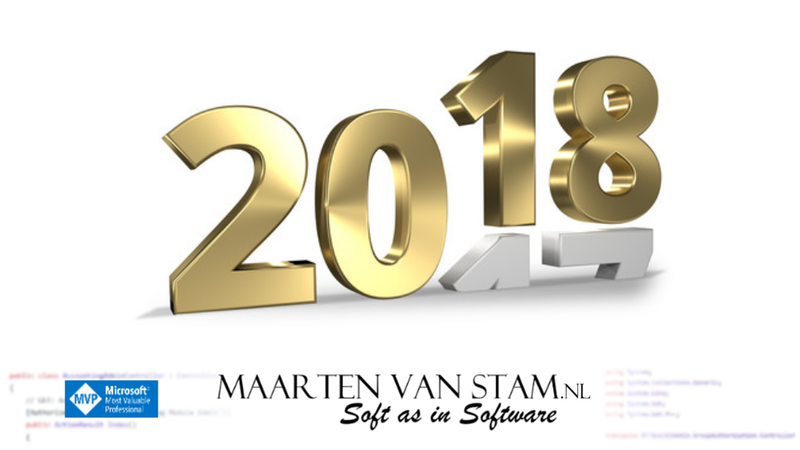 But there was more … Dutch .NET Group Meetups, Build Conference, TechDays NL, Community MVP Event in Denmark and not to forget another year of great technologies! Anyway … there happened too much to list here so that only leaves me to wishing you all the best for 2018 with many more events like we’ve seen in 2017! 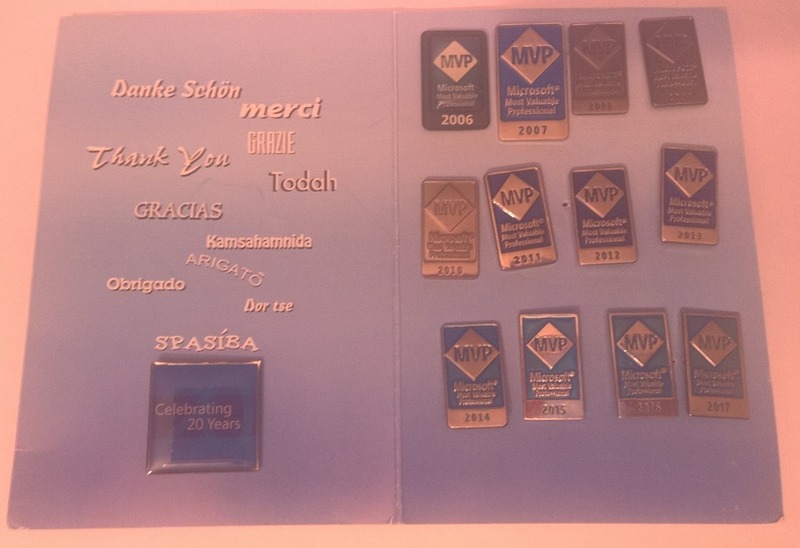 The first of January I was (again) awarded MVP, for the 12th year already. After a bit of a roundtrip I returned back on my ‘home base’ with the award category of “Office Development”. 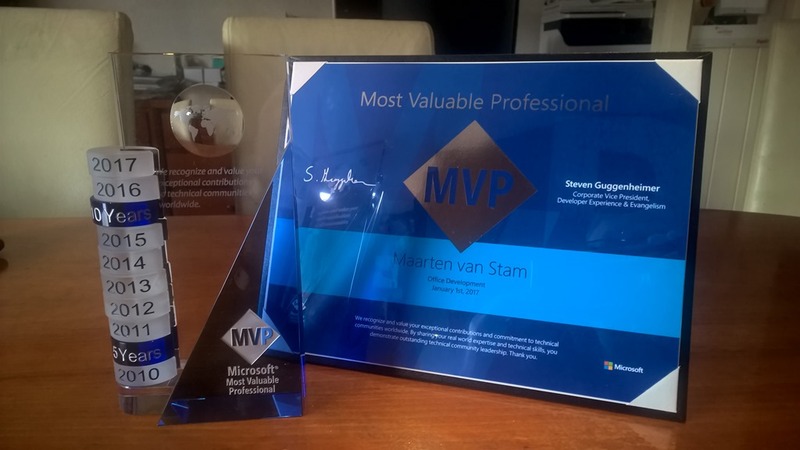 Initially I was awarded MVP “Visual Studio Tools for the Office System” (I know, what is in a name?) in 2006 and was able to hold on to that for nine years. VSTO however went on maintenance mode and the category was merged into the .NET and Office365 expertises. I work with both, a lot, but was sitting somewhat closer to the Office Team and was moved into the Office365 award category the year after. Due to complete reorganizations within the MVP Program Group the year after moving to Office365 the category moved again! This time the category was part of an even larger group, Office Servers and Services. VSTO was really a small group of about twenty MVPs, maybe less, Office 365 was huge and Office Servers and Services was bigger than huge. Office development was somehow lost in transition and Microsoft also realized there was a gap in that area and introduced the new Office Development award category and I was happy to find out that I returned ‘home’ by receiving MVP award number twelve in the Office Development category. Even after so many years of Office Development, there are still exciting things going on with the Office developer platform. Office JS is getting more and more mature over time and the team is really working hard to get the interfaces in par with what was there on the Windows platform in order to be able to run all equally on all platforms such as iOS, Android but obviously also on Windows. Let’s see what 2017 brings on Office Development, Stay tuned and thanks all for giving me the 12th MVP Award!